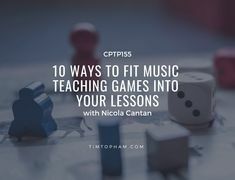 Keep your students looking forward to their lessons each week with a new game. 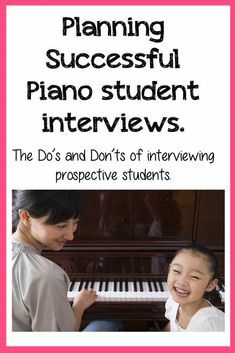 Need something to get you started? 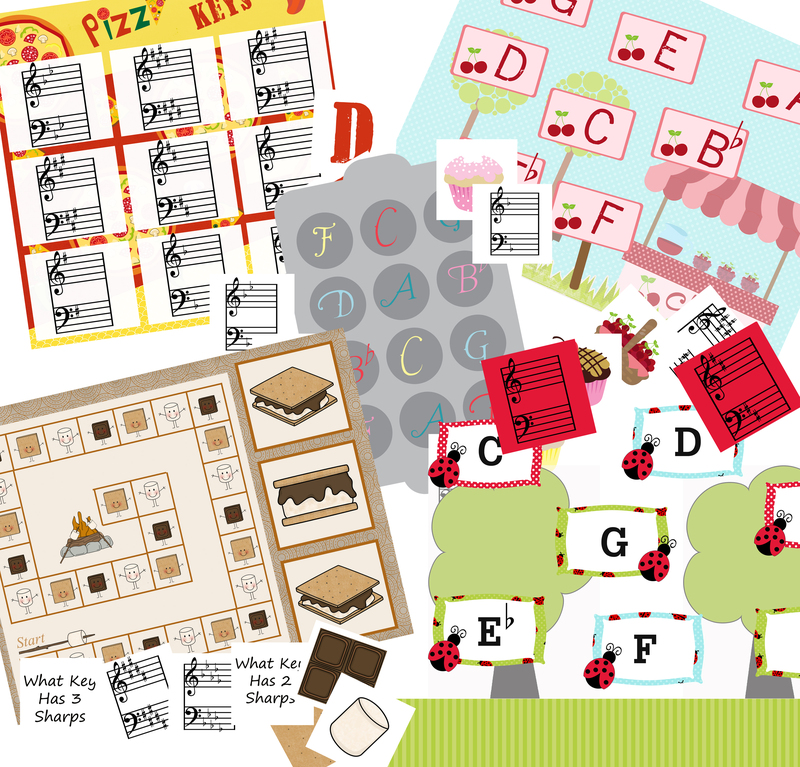 Here are 5 key signature games. Look for more games on other topics coming soon! 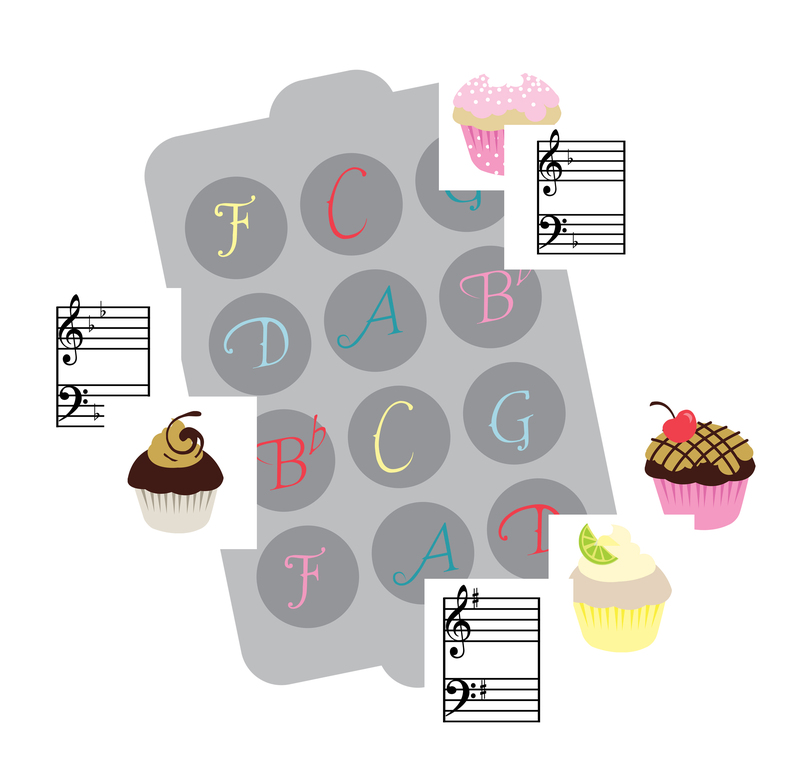 In my studio I like to gradually introduce key signatures in correlation to their scale. 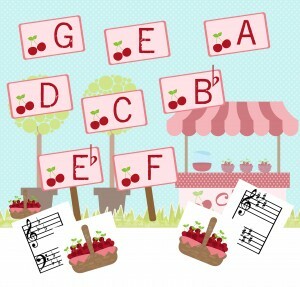 For example I start with the Keys of C G and F. I gradually add a new key signature each week usually through a game. Below are the five games I most commonly use with my students. 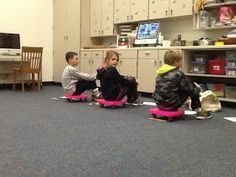 They have all been a huge hit with the kids! 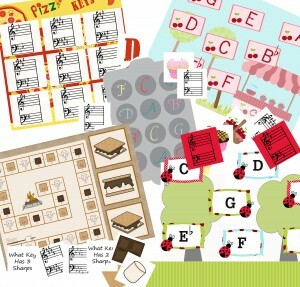 Get these games today and help complete your lesson plans for this fall! 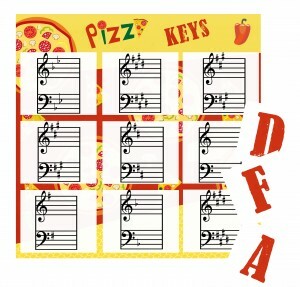 Pizza Keys covers C,G,D,A,E,F, and B flat. It is played in the style of bingo/tic tac toe. Cupcake Keys covers the Keys of C,G,D,A,F and B flat, Players draw the cupcake chords until the winning player covers all keys in the cupcake tin. 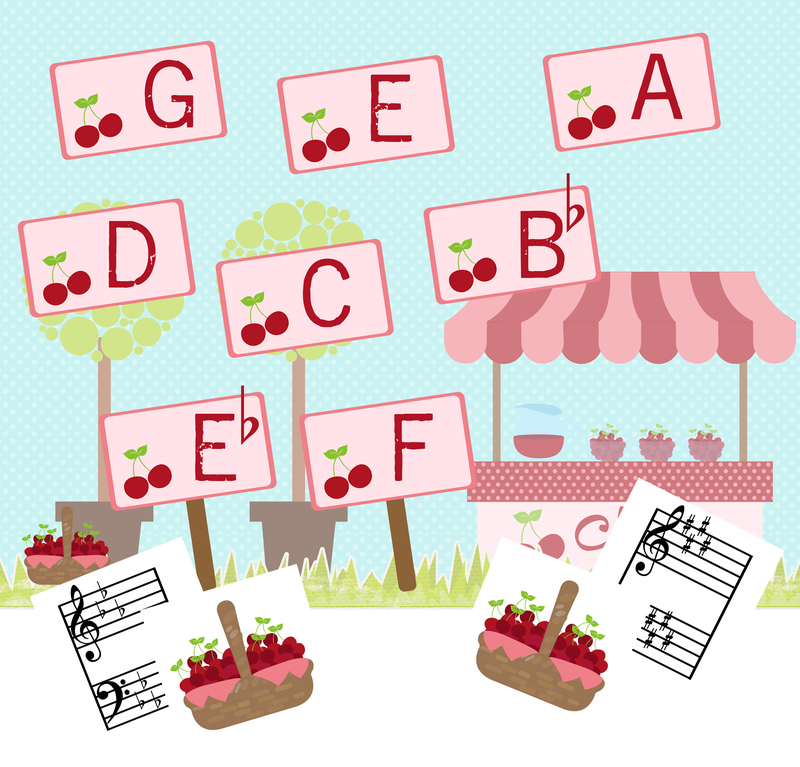 Cherry keys is a step up from pizza keys and cupcake keys. 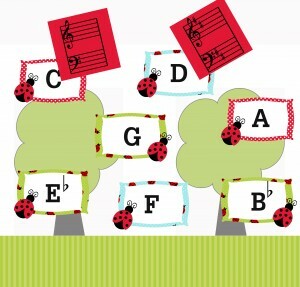 It adds the key signatures of E flat and E. The first student to draw and correctly identify all the keys wins. 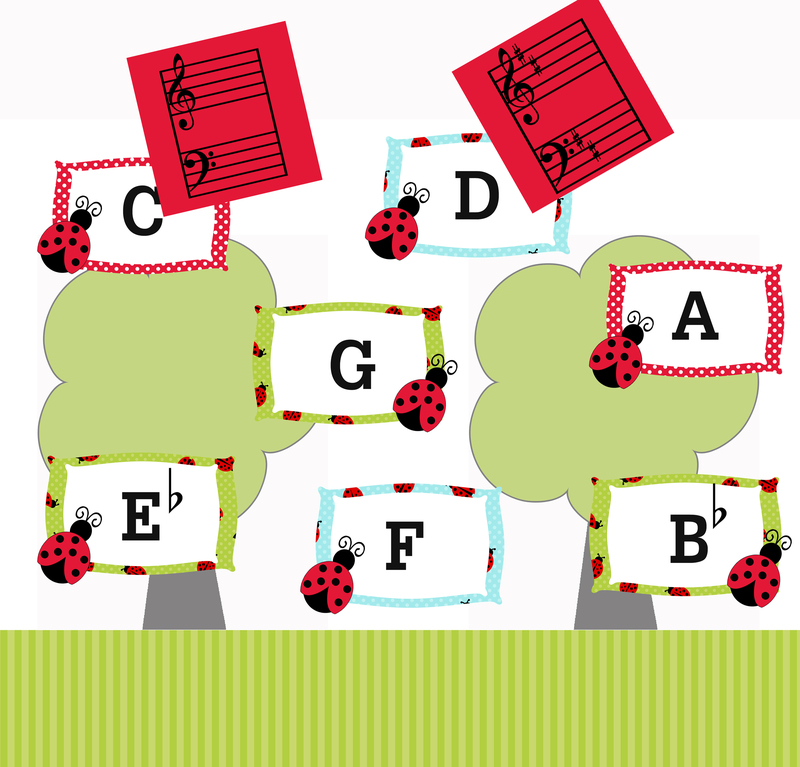 Ladybug Keys Covers the Keys of C,G,A,F,B flat and E flat. 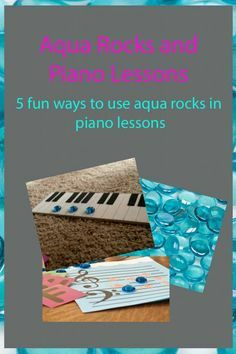 It is a great game to add to your stash if you have a student who is needs more practice with keys but is ready for a fresh new game. 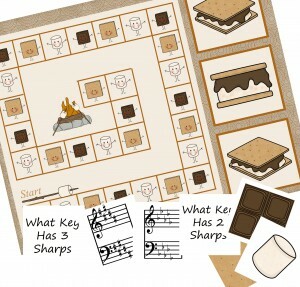 S’more Keys is the most advanced of all the key signature games. 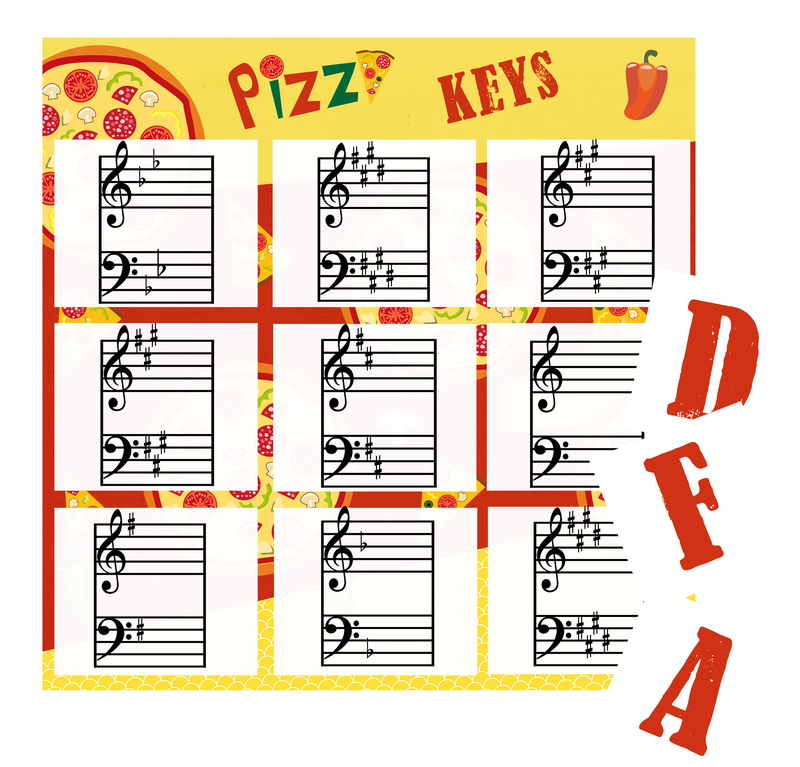 It covers all key signature and not only asks for key signature identification but also to name what key signature has a certain number of sharps/flats. Children love collecting the items to build s’more and seeing who has the most s’mores at the end of the game.